Jay Carvajal started out writing screenplays over ten years ago and continues to do so today. He is a lifelong comic book reader and is currently adapting several of his screenplays into comic book format. 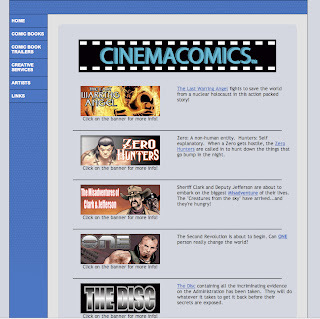 His company, Cinemacomics, publishes quality comic books with a cinematic feel to them. The stories are self contained and run for as many issues as needed to tell the tale. Jay collaborates with truly talented artists and his several titles are accomplished with style, originality and great passion for the graphic medium. “A sequel will always be a possibility if there is fan interest and a story to be told that will be as entertaining as the first,” says Jay. During the coming years, Westerns, Sci-fi, and everything in between will be published at Cinemacomics and all will have a beginning, middle, and an end to each story.